Our Kings Court home was completed in November 2006. This beautiful large home has 5 bedrooms, 3.5 baths, 2 lofts, dining room with a large table, gourmet kitchen and a family room. The gourmet kitchen includes a 48' Wolf gas stove with 2 ovens, 42' refriderator, walk in pantry and much more. The spacious living room features a moss rock gas fireplace, big screen TV, DVD and stereo system. The large deck off the living room offers great views of Lake Dillon and Keystone Mt. The home will comfortably sleep up to 12 people with its 2 king beds, 3 queens and 3 extra long twins beds and one double bed. A large private hot tub is off the back porch. The home has 4 TV's, 2 DVD players, DVD collection and high speed internet access. Our vacation home is clean and well maintained and we encourage you to compare our rates with similar properties and amenities. Since we own and manage this home, we can offer other amenities a larger company can not provide. 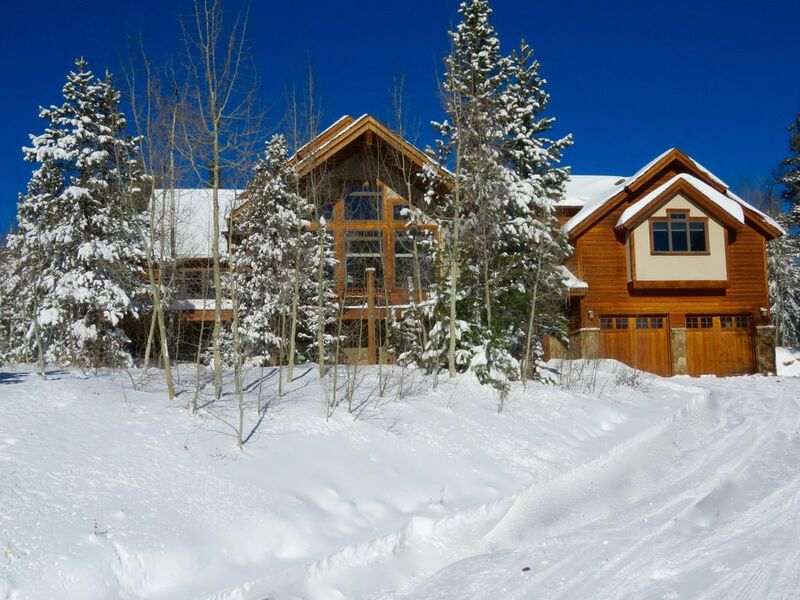 in the past we have allowed early check in/check outs if the schedule allows, stored skis, accepted packages to place in the home prior to your arrival and are available to answer any of your questions or concerns. Thank you for your visit. We look forward to having you as our guest. Since we are close to the National Forest our guests have the opportunity to see an abundance of wildlife. The most impressive animal to be seen in the area are the moose. Don't be surprised if you see them in the front yard or walking down the street. Check out our photos of the bull moose and elk herd. The Walk stove has 2 ovens. There are dishes, glasses and utensils for 12. We built and manage our Kings Court home which will be completed in Nov 2007. This large, comfortable home also has Infloor Radiant Heat, Guide books, Information bulletin board, family room, board games, books and much more. ***We do not rent out this home for weddings, parties, or other functions. The use of this home is only for the guests staying in it. ***County regulations limit the occupancy in the home to 12 total.